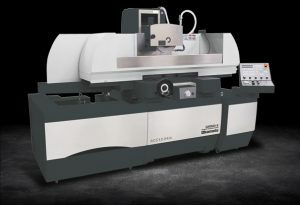 The ACC-12•24 is a next generation automatic type surface grinder that provides the reliability and simplicity of electronic control while still providing “hands-on” operation. It incorporates the proven design and construction features that have made Okamoto automatic surface grinders the preferred choice for users worldwide. AC driven vertical feed with minimum increment of 0.00005″. Manual Pulse Generator also built into control.